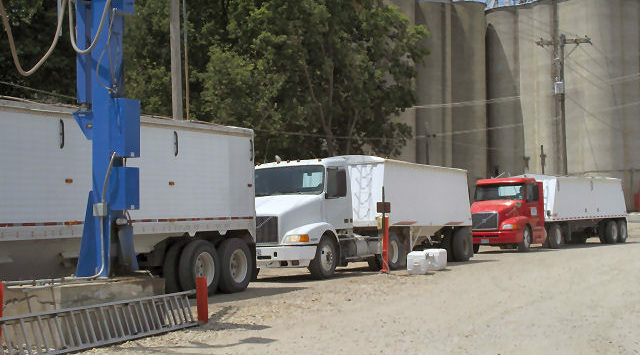 Grain elevators across Kansas are feverishly working to move last year’s grain out to make room for the new winter wheat crop as another harvest nears. Kansas Grain and Feed Association executive director Tom Tunnell says there is still a storage issue, particularly in southwest Kansas. The activity at elevators comes amid a wheat crop that has begun ripening. The Kansas harvest typically begins in the state’s southernmost counties and moves northward as the wheat ripens. Cutting could begin late next week in south-central Kansas with harvest expected to be in full swing by the second week of June. Farmers are grappling with damp weather, crop diseases and low prices.